While it seems like the key to becoming a successful entrepreneur is having a great idea, you also have to have money. But If you’ve got a winning idea, getting financing should take care of itself, right? As you’ll find out during my conversation with Ross Baird, Founder and President of Village Capital, and author of the book “The Innovation Blindspot: Why We Back the Wrong Ideas and What to Do About It," it is not always that simple. In order to raise capital, you have to be able to connect with investors. And that means avoiding innovation blind spots that are common with venture capitalists. Ross Baird wants to help investors see the vast opportunities available outside of their typical, limited scope. In this episode, Ross sits down with me to discuss his new book and to share how he’s making a lasting impact by helping investors eliminate some of those innovation blind spots in their approach to Venture Capitalism. You don’t want to miss this conversation. 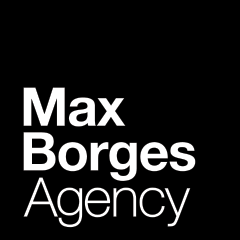 As I was talking with Ross, I found myself thinking back more than 10 years ago to when I founded the Max Borges Agency. I had some reservations about growing a consumer tech PR agency in Miami because our offices were not in Silicon Valley or New York City. Ross says that's a concern too many entrepreneurs face because of the innovation blind spots many investors have. As I discovered in our conversation, that is not always the case. Be sure to listen as Ross explains why this is a huge problem for entrepreneurship. Ross shared with me that he believes too many investors approach their jobs like stock pickers - they're only looking for the next sure thing based on historical trends. This type of innovation blind spot causes many investors to miss out on star entrepreneurs that could really make an impact. He thinks they should instead model their approaches after college basketball and football coaches. "If you go to any neighborhood anywhere in the U.S., whether it's rural North Dakota or inner-city L.A., if there's are kids with the potential to be an athlete. That’s why by the time they are ten years old, college recruiters know their names. There's a multi-billion-dollar industrial recruiting complex to discover athletes. Investors need to spend the same amount of time investing in their pipelines," says Ross. Hear about this unique approach to investing and how Ross is applying it to his own business in this week’s episode. Ross and his colleagues are working to eliminate innovation blind spots and widen the narrow lens that professional investors use to identify entrepreneurs. He does not want location, education, or economic backgrounds to disqualify anyone with a great idea from pursuing his or her dreams. He shares with me three qualities common to most successful entrepreneurs that he recommends anyone thinking of starting a business should embrace. These three characteristics can help entrepreneurs better position themselves for investment and success. Be sure to listen to our conversation to hear about these three unique characteristics. The Max Borges Agency is a consumer tech PR agency, but we do not limit ourselves to partnering only with companies based in the Valley. We know we would be shutting ourselves out of the opportunity to work with some amazing companies. That's the same line of thinking Ross had when he founded Village Capital almost ten years ago. Ross Baird is leading Village Capital to find and invest in great entrepreneurs with great ideas who most investors are not paying enough (or any) attention to. And he’s trying to help other investors identify and reduce their innovation blind spots so that a more diverse group of entrepreneurs have a shot at success. Hear all about this and more during our conversation on this week’s episode of Unconventional Genius.